Sir Ian McKellan has gained the admiration of millions with his outstanding performances in legendary films from Richard III to The Lord of the Rings. He is a brilliant stage actor much admired for his compelling performances in Shakespearean plays; 6 time recipient of Laurence Olivier Theater Award; twice nominated for the Oscar and many times for major theatrical awards in the US and UK; the recipient of many awards including Bafta, Golden Globe, Tony and Emmy. 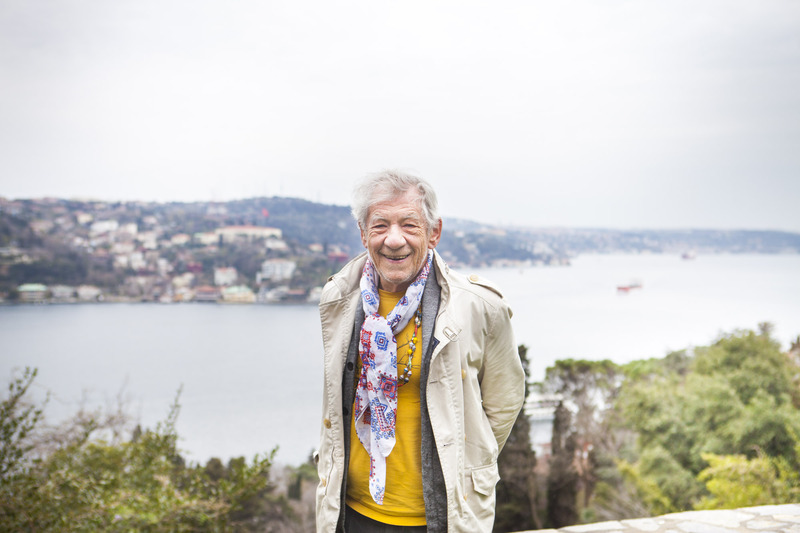 Sir Ian McKellen came to Turkey as the guest of honor at the Istanbul Film Festival 2017. McKellen, etched in the memory as Gandalf, has a very large fan base in Turkey. At Boğaziçi University, he was greeted by Boğaziçi University Rock Choir, who sang, a cappella, a medley of songs from the film The Lord of the Rings. 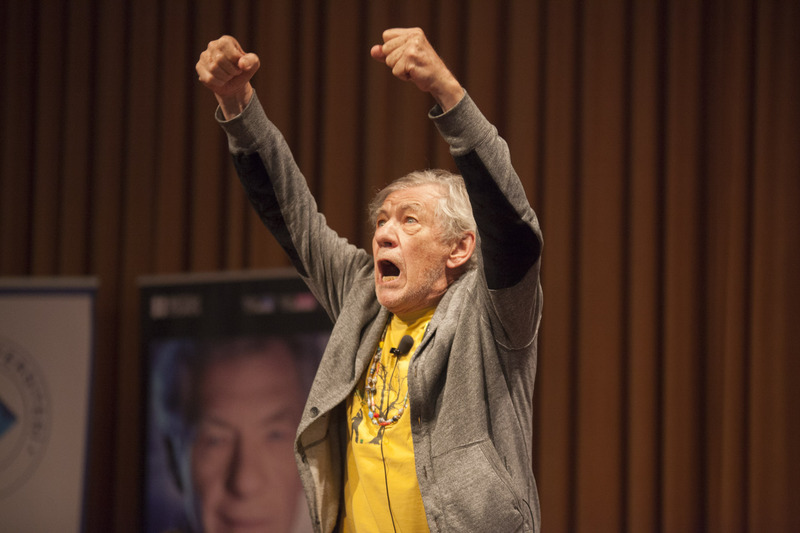 He talked about his life of acting, beginning from his first years on stage, and continued with the films which brought him immense acclaim, his LGBTI activism and also his recommendations for would-be actors: McKellan captured the audience with his talk and his sense of humor. 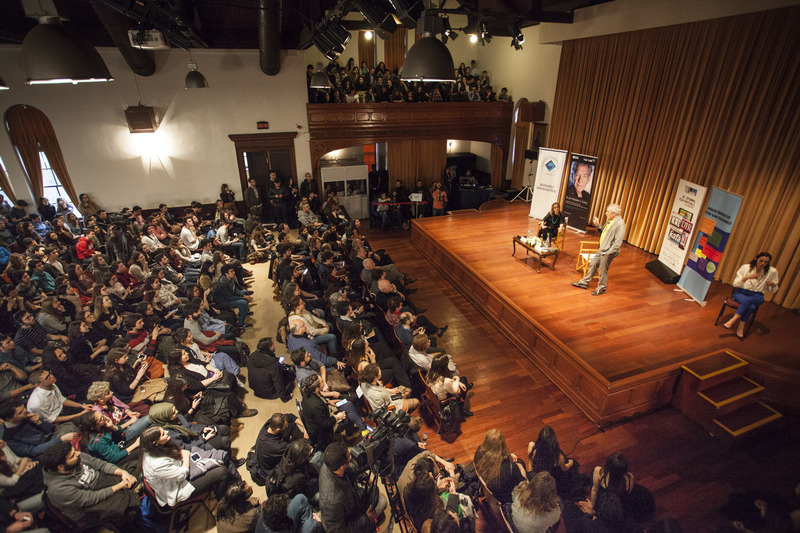 At the end of the talk, Sir McKellen thanked Boğaziçi University for their hospitality and as a “small present” to the audience, delivered a speech from the play Sir Thomas More.